The claim against Der Spiegel comes after a journalist fabricated details in stories, including one about the kind of town that propelled President Trump to victory. The American ambassador to Germany has accused one of that country’s leading newsmagazines of anti-American bias after a journalist admitted to fabricating details in at least 14 stories — including one about the kind of rural town that propelled President Donald Trump to victory in the 2016 presidential election. “We are concerned these narratives are pushed by Spiegel’s senior leadership and that reporters are responding to what the leadership wants,” Grenell wrote in the letter, adding that he wanted an outside, independent investigation to determine how the magazine violated journalistic standards after repeatedly publishing the work of 33-year-old Claas Relotius. In an open letter published Saturday, Der Spiegel’s deputy editor-in-chief Dirk Kurbjuweit apologized for the fabrications and acknowledged that the publication’s verification processes broke down. 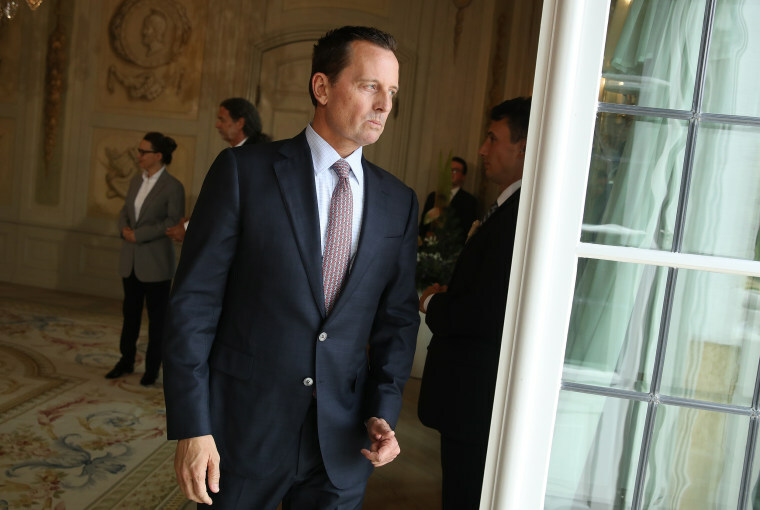 But he rejected Grenell’s characterization of bias, saying that criticism of President Donald Trump does not equal institutional bias. Der Spiegel said last week that Relotius had committed journalistic fraud “on a grand scale” over many years. In a post on Medium, two Fergus Falls residents described what they called Relotius’ 10 “most absurd lies” — including his assertion that the town is obsessed with the film “American Sniper” and a description of the city administrator as a “gun-toting virgin” with a taste for 18th-century French philosophers. Relotious’ fabrications were revealed after a colleague accused him of falsifying details in “Jaeger’s Border,” a story that Der Spiegel said contained similarities to a 2016 piece about the border published by Mother Jones. CORRECTION (Dec. 24, 2018, 10:20 a.m. ET): An earlier version of this article misidentified a city that Claas Relotius wrote about. Fergus Falls is in Minnesota, not Idaho.